We’re happy to have released our new album Hotel Paradise this week! The reaction has been great – comments on Facebook and people still buy CDs! 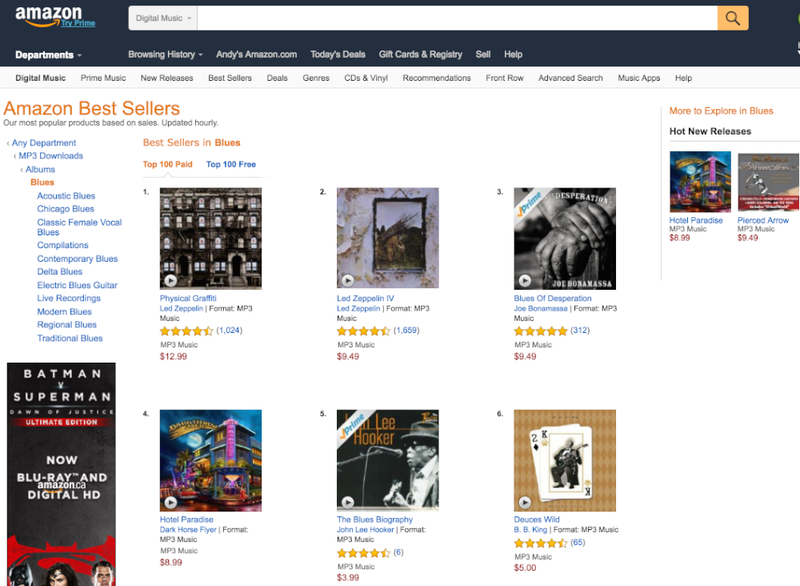 To our delight we shot up to #4 in the Amazon Download chart in the Blues category amongst some great company. The vinyl record version of Hotel Paradise is being manufactured and will be available in late September/early October. Stay tuned and keep rocking Flyers!